Below are the “Top 5” pricing questions we receive from our clients. We’re available to answer any other questions that you have to help make your vehicle purchase and finance process as easy as possible! Q: How are new vehicles priced? What is MSRP? When you are buying a vehicle, there are some incentives that everyone will qualify for that will reduce the price from MSRP, including Customer Cash and in the case of Ron Lewis Automotive Group, an additional Dealership Discount. This is what we call our ”Everyone Drives” price. There are other manufacturer programs that not all customers will qualify for, including Military bonuses, College Graduate incentives, or Owner Loyalty bonuses on a particular model, for example. The manufacturer has a set of eligibility requirements for each of these incentives. Q: How are used vehicles priced? 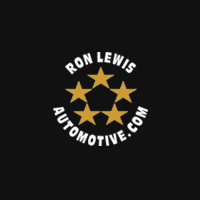 A: The pricing on Ron Lewis Automotive Group used vehicles is set based on market demand and value, the condition of the vehicle, as well as the reconditioning work done to the vehicle in the Service Department and/or Bodyshop. At the Ron Lewis Automotive Group, we’re constantly looking at comparable vehicles in the market and are adjusting our prices accordingly. We’re committed to bringing our customers prices that are clearly understood, competitive in our market, and set fairly for the vehicles we are selling. Q: How can a 2014 model sometimes cost more than a 2015 model of the same vehicle? A: For example, you might find a 2014 Jeep Grand Cherokee that has more options on it than a 2015 Jeep Grand Cherokee and therefore could have a higher asking price. Check to make sure the make/model you’re interested in, with the package and features you want, has the same incentive programs available as ones advertised. In other words, make sure you’re comparing apples to apples. Compare apples to oranges in your research too – You may be surprised at alternatives from new vs. used (and vice versa), or buy vs. lease options. Q: What is a dealership demo, and how are they priced? A: A dealership demo is a new vehicle that is used to “demonstrate” what our new vehicles look like. We believe that if we have vehicles driving in our local communities by representatives of our Company, we can showcase our products and also give prospective clients an opportunity to see our newest models in motion. We also have provided demos to local charity events, retail outlet malls, parades, golf outings, and school sport functions. Buying a demo from a dealership is a great way to save some money off the initial asking price, while getting a brand new model that has been well-taken care of by a Company representative. Typically there will be anywhere between 4500-5000 miles on a demo when offered for sale. Due to the mileage that we put on these types of vehicles, we will reduce the price accordingly. Every vehicle depreciates differently, so please see our sales representatives for more details. Q: How do you arrive at a lease payment? What factors are involved? The first formula you need to figure out is the depreciation amount. Depreciation is calculated by taking the capitalized cost (cost of the vehicle after subtracting any trade or cash down) minus the residual (guaranteed future value) divided by the term of the lease (the amount of months renting the vehicle). The second formula is calculating the interest of the payment. The interest is factored by adding the capitalized cost to the residual value and multiplying that number by the money factor (finance charge from the bank). The third formula is calculating the monthly tax. You take the depreciation cost plus the interest charge and multiply by your local sales tax rate. Our sales personnel are always happy to do a buy/lease comparison so that you will have all of the information you need to make an informed decision. To determine your lease payment, you then add the depreciation amount + interest from bank + monthly tax = monthly lease payment. Our Finance specialists can walk you through this process and help you compare vehicle buy versus lease payments.